In one of our previous posts “Colors That Promote Sleep”, we talk about the colors to paint your bedroom to help promote sleep. Different colors promote different feelings like excitement, warmth, cooling, and more. So, you will want to consider the feelings each color will promote in any given room. The kitchen is a gathering place for many families. The color of the room will play a big role in how people feel while they are in there. Picking your color is best done by thinking about the kitchen you hope to have. Red: This color makes people feel excited, intimate, and comfortable. While it helps increase the level of conversation people have, it is also known to increase the amount of food people eat, which is why it’s such a popular color in restaurants. Red also causes blood pressure to rise. If you really love red in your kitchen, use it as a small accent color in décor, not on your walls. Orange and Yellow: Both colors have several things in common with red, like stirring up conversation and appetite. The big difference these colors have is that they are warmer than red and make the room feel hot. This is especially true in the summer months. If your kitchen sees the most sun during the evenings, cooking seems even more sweltering. Another bad option for kitchen walls is matching your cabinet color. Most cabinet painters suggest doing a nice contrast to give the room more interest. Making everything white, for example, just makes the room plain. 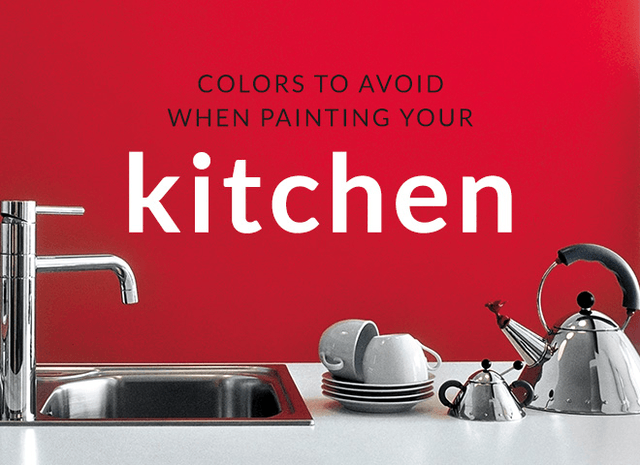 The best colors to paint your kitchen are colors that are either cool or neutral. Blues, grays, white, beige, and tan are all great options. If you really love red, orange, or yellow, the best way to incorporate them into a kitchen is to add little touches in the décor here and there.